Everybody loves a good falafel, and the ones we use in our Falafel Salad is no ordinary falafel. 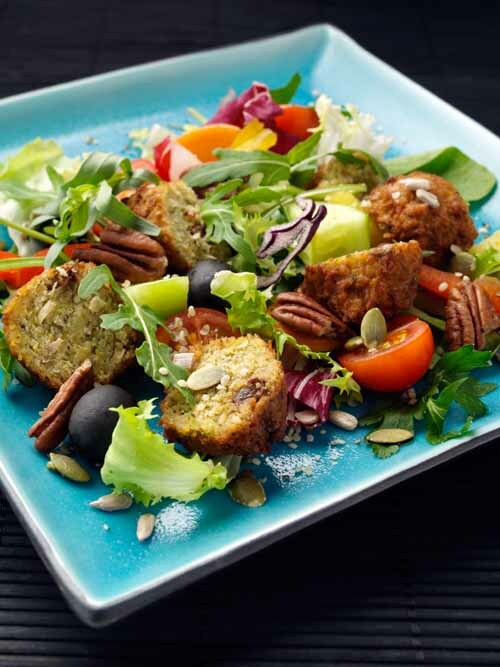 Made with the finest organic ingredients, these chickpea balls have dates and raisins, providing a perfect combination of sweet and savoury flavours in the salad. Nutritionally speaking, chickpeas are a great source of protein, fibre, manganese and folate. Consequently, the falafels together with fresh greens and vegetables create a complete and nutritious salad! 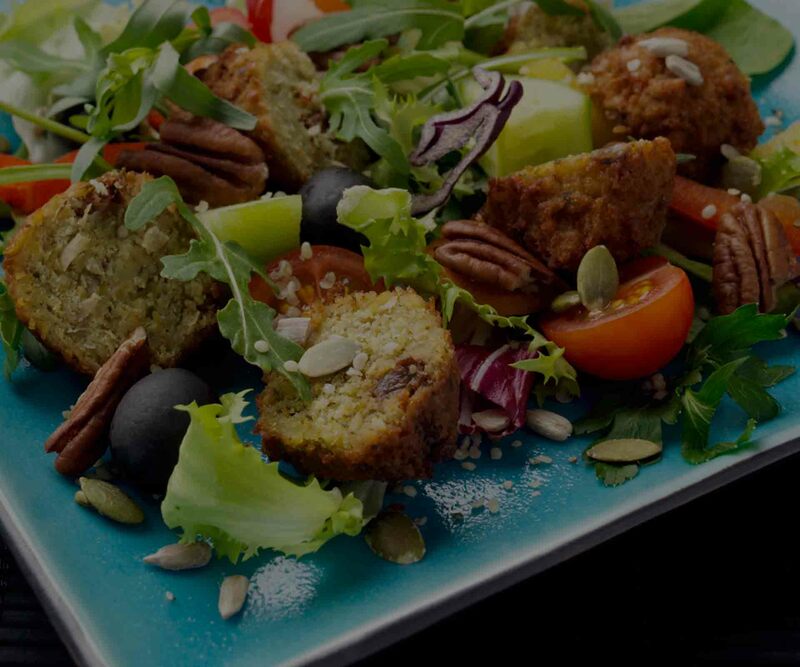 Organic falafels 15% (chickpeas, dates, raisins, basil, parsley, garlic, chilli peppers, sea salt), fresh salad leaves, parsley, rocket, radish, tomatoes, cucumbers, peppers, green olives, carrots, seeds (sunflower, flax, pumpkin), walnuts. Homemade sauce: cucumbers, dill, organic lemon juice, onions, garlic, black pepper, sea salt, olive oil, parsley. May contain pit fragments.